Stock images from Photocase are commonly used in websites, blogs, flyers, ebooks and slideshows. This increased the need for images, which also increased the number of stock image websites in the market. Because of these, companies started to protect their companies from copyright issues. They started to utilize the various options that stock sites offer. What makes Photocase more praiseworthy? Photocase images are easy to find. The website has a user-friendly interface that allows you to navigate around easily. You can find the search option everywhere to find whatever you are looking for fast. Unlike other websites, Photocase photography is unique, contemporary and inspiring. It is strongly curated with a modern feel that will suit any budget. 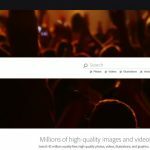 The website currently has over 300,000 images that you will not find in any other stock photo websites. What more could you look for? Different projects require different licensing needs. Fortunately, Photocase offers multiple licensing options that give you more freedom for your projects. With greater protection, you can save yourself from financial and legal risks. The website offers Standard License and Extended License. Photocase’s Extended License has three types – Merchandising, Omit Citation and Unlimited production Run. Merchandising License is used if you want to sell physical products such as calendars and T-shirts. It also permits you to use the images in Powerpoints presentation and website templates. Omit Citation License saves you from citing the photographer and the website. With the Standard License, citation is required. Unlimited production Run allows you to create copies of the image as many as you need. With the Standard License, you can only reproduce up to 250,000 copies of your creative project. Membership Benefits. Each stock photo agency offers various benefits to its members. Photocase also offer a number of benefits. Most of all, it allows you to download from its unique library of images. It also allows you to utilize lightboxes for better organization. It also allows you to interact with other users in its friendly community. Every stock site has a wide variety of talented photographers. Joining Photocase and uploading images have strict requirements. The website’s photographers do not mass produce their masterpieces; thus, the images in the library are unique to the site. You will not find them anywhere else. Now that the 7 reasons why you should buy Photocase images are settled, you will need to register to the website to enjoy extraordinary images and membership benefits. To download images, you will also need credits. Moreover, get your hands on a Photocase coupon code to get free credits or further discounts. What are you waiting for? Get a coupon code from your trusted affiliated website now! In the stock photo industry, the name Shutterstock has become synonymous with consistent quality. 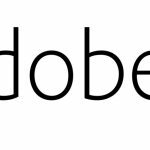 The company is one of the largest agencies out there, and is so big that these days it’s traded on the New York Stock Exchange. As it has continued to grow and offer more and more photos, Shutterstock has kept a devotion to high quality imagery at the forefront of its business model. But from a consumer standpoint, that quality comes at a big price: Shutterstock is synonymous with quality, but certainly not known for the best bargains. But with a Shutterstock coupon code, you can change that, and get the best deal around for the agency’s high quality imagery. Here’s how much you can save. If you like to download your stock images one at a time as you need them, our coupons will help you save big with Shutterstock’s on-demand offerings. Our 13% off deals mean that for one image, which usually retails for $9.99, you will save $1.30 and only have to pay $8.69. 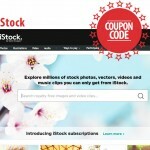 If you need more images, our coupon code works for all of Shutterstock’s image packs. 25 images sells for $229, but with our 13% off coupon you can get those 25 high quality stock photos for only $199.23. Those savings add up quickly. 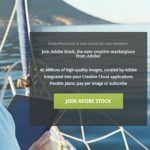 If you want to download imagery from Shutterstock’s library at the absolute best possible cost, a monthly subscription is by far your best bet. You will have to use a lot of imagery every month to make it worth your investment, but if you do, you’ll save huge. 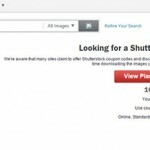 And our Shutterstock coupon codes are here to help. 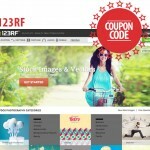 Just like with on-demand imagery, our Shutterstock code affords you a 13% discount from your monthly subscription plan. 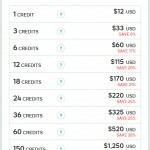 Typically, Shutterstock monthly plans cost $199 for 350 images, or $249 for 750 images. With our coupon, those price points get knocked down to $173.13 and $215.63. 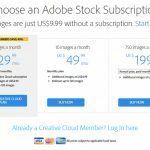 If you want to get the absolute best deal from Shutterstock per image, select their higher volume monthly plan and add our savings codes on when you do. 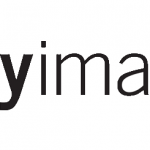 Again, you’ll pay $215.63 per month for 750 image downloads. But what does that break down to on a per-image basis? 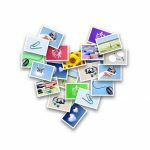 With our coupon codes and a high volume monthly subscription, you will only be paying about $.29 per image. That’s a whole lot of value for a whole lot of image quality.